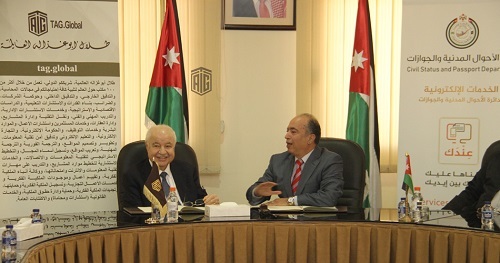 AMMAN – HE Dr. Talal Abu-Ghazaleh, founder and chairman of Talal Abu-Ghazaleh Global (TAG.Global) and HE Mr. Fawaz Al Shahwan, Director of Civil Status and Passports Department (CSPD), signed a cooperation agreement with the aim of providing a set of professional services offered by TAG.Global to the Department. 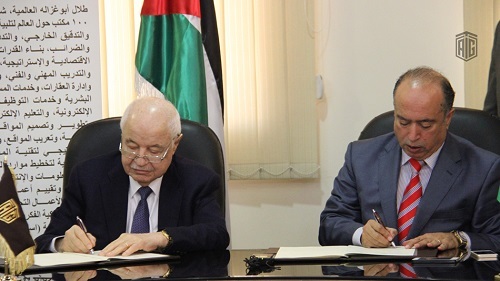 The agreement, signed at the CSPD’s headquarters, comes in line with the CSPD’s objectives in developing its ICT-based services and activities, in its endeavor to transform into a digital-based department in addition to improving its professional and technological services and human resource capacity building. 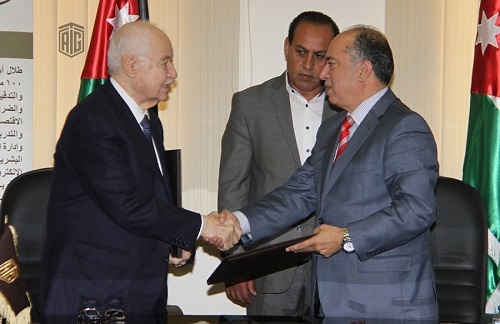 During the signing ceremony, Dr. Abu-Ghazaleh affirmed that TAG.Global seeks to offer its professional services to the various government institutions, expressing TAG.Global’s pride in providing the CSPD with such professional services in light of the Department’s essential role in providing its services to all citizens. 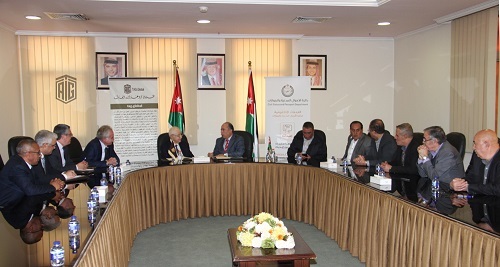 For his part, Al Shahwan expressed his gratitude and appreciation to Dr. Abu-Ghazaleh for his efforts, noting that his global companies are considered a Jordanian and global landmark and reiterating his pride in the partnership between the CSPD and TAG.Global. Meanwhile, Al Shahwan pointed out that signing the agreement comes in line with government strategies to facilitate the provision and procedure of government services for citizens, and highly commended Dr. Abu-Ghazaleh’s initiative for capacity and professional skills development of the Department’s cadres in addition to developing and designing the official website of the CSPD by making it more interactive, as well as developing smartphone applications which fall within the implementation framework of e-government. According to the agreement, a joint working group will be formed with members of the two parties to discuss cooperation mechanisms in different services and activities, including updating and launching the English version of the Department’s website, in addition to following up amendments to the graphic design of brochures, posters, as well as the design of its new annual report. It is noteworthy to mention that, according to the terms of the agreement, TAG.Global will provide the CSPD with 20 TAGITOP devices for the purpose of registering e-accounts for citizens at the Department’s offices in addition to training its cadres on the basics of graphic design and publications at TAG.Global. Additionally, TAG.Global will help the Department to assess the training needs of its employees, as well as establishing and developing an intranet Portal, smartphone app and developing a training management system.